Gold Bars - Are Bars the Best Form of Gold Bullion? 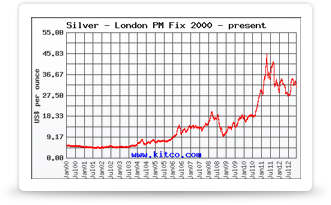 Get the Free Report of Gold and learn why Gold is better than Silver. When investing in physical gold, gold bars are among the most popular choices. With a low cost per ounce, easily-stored size and shape, and low maintenance requirements, this is among the best options for gold investors. Gold bars are among the most cost-effective ways to invest in gold. They carry a very low premium over the spot price of gold. With many different gold bar brands available, this competitive market means that prices are not significantly higher than the spot price of the precious metal involved. Other forms of physical gold, such as coins and gold jewelry, tend to have a higher price per ounce due to the costs of manufacturing such items. Meanwhile, the relatively basic appearance of gold bars means lower manufacturing costs, leading to lower per-ounce premiums. Gold bars come in a wide variety of sizes to suit any investment need, from one-gram bars to 400-ounce bars. Smaller bars tend to carry bigger per-ounce premiums than bigger gold bars. It is generally best to buy the largest gold bar you can afford, because they have lower per-ounce premiums than smaller bars. If you prefer to invest in smaller bars, consider buying in quantity, as this will often mean a discount when compared with the price of buying one bar at a time. Also, secondhand bars are often cheaper than new bars, while still offering the same gold content. Gold bars are easily exchanged for cash anywhere in the world. Most are stamped with both the weight and purity of the gold. This makes them among the easiest forms of gold bullion to buy and sell. Often, such transactions may be conducted sight-unseen, due to the highly standardized precious metal contents of gold bars. For those who invest in gold as a hedge against the possibility of economic collapse, gold bars represent an easily-traded form of precious metal, given the wide range of gold bar sizes available and their clearly-marked precious metal content. These bars are easily stacked and stored. Although many people picture a brick-sized bar of gold when they think of gold bars, in fact the sizes of gold bars commonly traded by individual investors tend to be smaller – one-ounce and ten-ounce bars are the most common sizes – making them relatively easy to store, even if you have a large quantity of such bars. Even a large number of gold bars can easily be kept in a home safe. Their rectangular shape is easily stacked, so gold bars do not take up a significant amount of space. Gold bars are easy to maintain. Just keep them in the original Certicard, which is a plastic case with a certificate attesting to the purity and weight of the gold content. Do not clean them or otherwise touch them; doing so can actually cause marks detrimental to the bar’s appearance. On the other hand, such marks do not generally devalue the bar, unlike with other forms of physical gold such as coins. This is truly a low-maintenance way of investing in physical gold.